Indiana's lemon law, officially known as the Indiana Motor Vehicle Protection Act, is designed to provide a remedy to purchasers (and lessees) of new vehicles when there is a defect that the dealership can't fix. It applies to vehicles purchased or leased in Indiana, regardless of whether the purchaser is a resident of Indiana or the vehicle is registered in Indiana. It does not apply to vehicles that weigh over 10,000 pounds. It also does not apply to conversion vans, motor homes, farm machinery, road building equipment, motorcycles, mopeds, snowmobiles or any vehicle designed primarily for off-road use. Purchasers of these vehicles may, however, be able to pursue a lawsuit under the Magnuson-Moss Warranty Act, a federal statute, if the vehicle is nonconforming to a written or implied warranty. The defect must impair the use, value or safety of the vehicle. The defect must also have been brought to the dealership's attention within the first eighteen months or 18,000 miles, whichever comes first. If the dealership can't repair the vehicle within a reasonable number of attempts - defined under the law as four attempts or thirty days out of service - the vehicle is a lemon and the purchaser is entitled to his or her choice of a refund or replacement. Unfortunately, if the purchaser elects to receive a refund, the manufacturer is entitled to a deduction for the use of the vehicle (based on its mileage). Since under this "reasonable use calculation" the entire value of a vehicle is consumed at 100,000 miles, the reasonable use can often amount to a significant sum of money. For example, if the lemon had 25,000 miles at the time it is tendered to the manufacturer, the refund would only be 75% of the actual purchase price. For this reason and because it is often arguable whether all the elements of the lemon law have been met, these cases are often resolved with a monetary settlement. Importantly, a lemon lawsuit must be filed within two years of the date that the purchaser first informed the dealership of the defect. 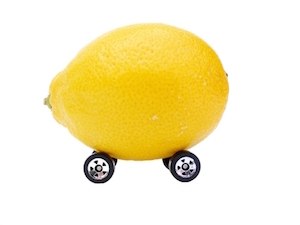 If Indiana's lemon law stopped there, it would be useless for many lemon owners because they would not be able to afford to pay an attorney the thousands of dollars it would take to pursue their claim. Fortunately, the lemon law also provides that a purchaser who "prevails" (receives a settlement or wins at trial) is also entitled to the payment, by the manufacturer, of the reasonable attorney fees incurred by his or her attorney. Perhaps just as importantly, if The Law Office of Robert E. Duff agrees to represent you, you will not owe any attorney fees if your lawsuit ultimately turns out to be unsuccessful. This means that you can hire a lemon law attorney to represent you for free! 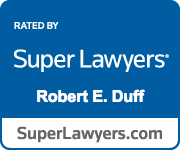 Robert E. Duff has defended lemon law claims for General Motors, Mitsubishi and Toyota. Today, he represents Indiana consumers. He knows the Indiana Motor Vehicle Protection Act and the Magnuson-Moss Warranty Act and he knows how to protect consumer's rights under these statutes. Call Mr. Duff now at 800-817-0461 for a consultation or fill out the Lemon Law Intake Form to see if you have a case.